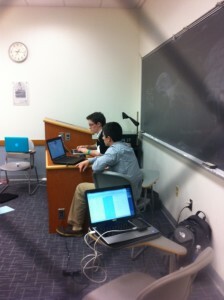 John Carroll University was host to an Ohio state qualifying policy debate tournament on October 14-15, 2011. There were 26 teams representing 12 schools from around the state. 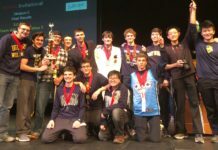 The first teams from Saint Ignatius to qualify to the state finals in March 2012 are Cameron Colella ’12 with Kevin Pucci ’14 and Andrew Beddow ’14 with Sean Lavelle ’14. 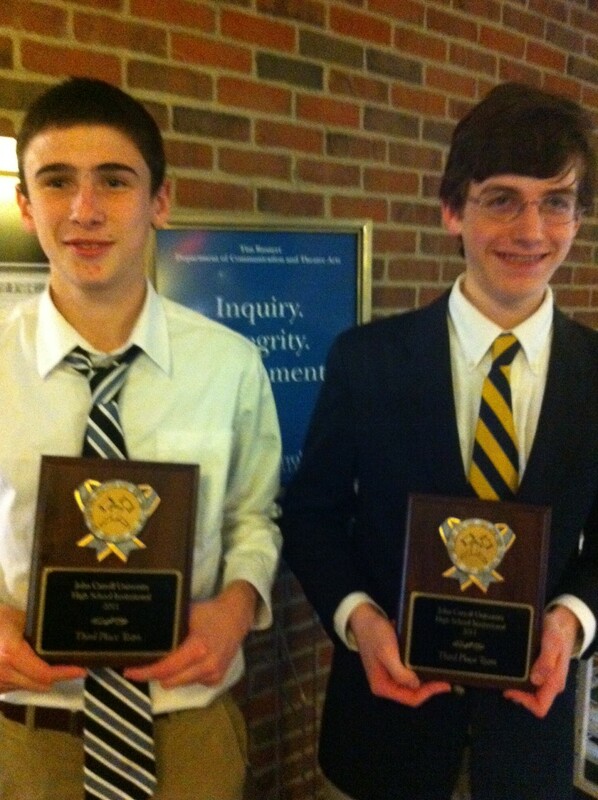 Cameron and Kevin won the tournament with a 7-0 record and 3-0 decision in the final round. Sean and Andrew advanced to the semi finals losing to Cameron and Kevin. 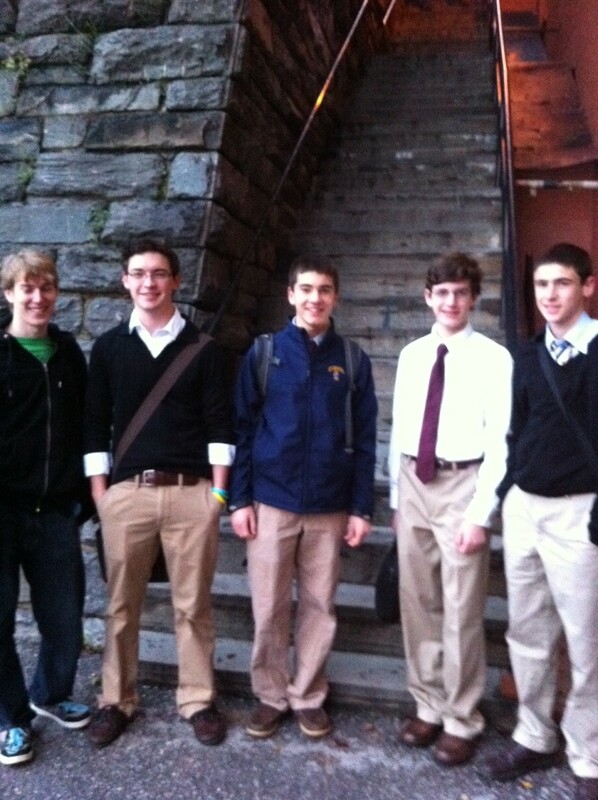 In addition, Cameron received 1st place speaker award, Kevin 5th place and Daniel Counihan 9th place. 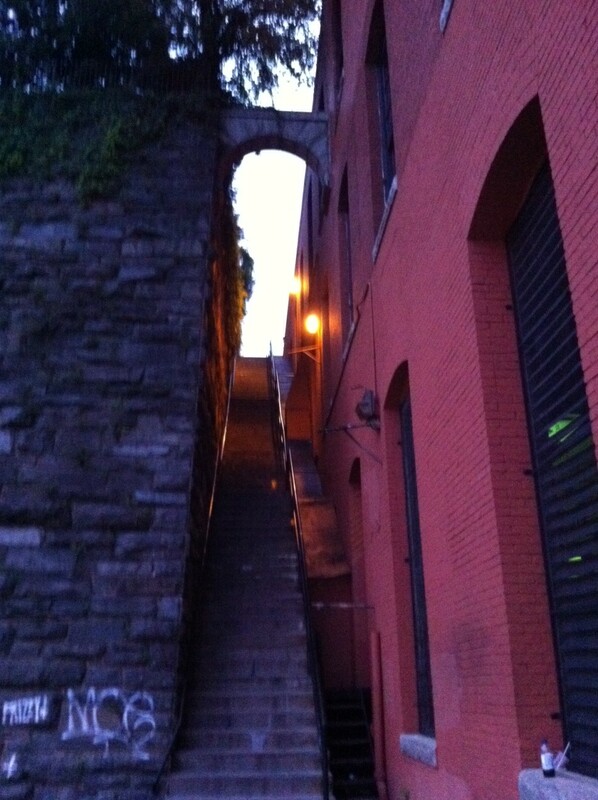 This success follows the outstanding performance at Georgetown University. 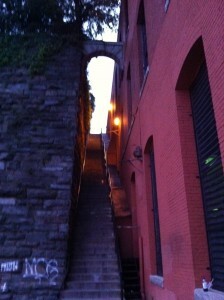 The Georgetown University Invitational was held from October 1-3, 2011 on the Georgetown University campus. In varsity policy debate, the tournament was a quarterfinals bid to the Tournament of Champions finals hosted by the University of Kentucky in May 2012.
work never ends at GeorgetownTournament of Champions to be held at the University of Kentucky in May 2012.
no exorcism needed Fr. Vincent. Kevin Pucci ’14 finished in 9th place, one away from qualifying. Cameron received a 16th place speaker award for over all performance at the tournament. Also competing for Saint Ignatius were Sean Lavelle ’14 and Andrew Beddow ’14. 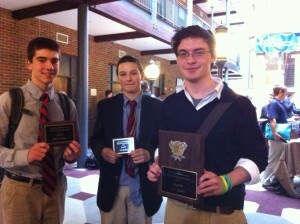 Cameron also received a 16th place speaker award at that tournament.